This drink's delightful pink colour comes from the addition of strawberries. Combine 150ml of tea, syrup, lime, and Monin powder into the blender. Blend with ice. Prepare serving glass by drizzling the strawberry fruit mix in the inner sides of glass. Pour in the ice blended mix. 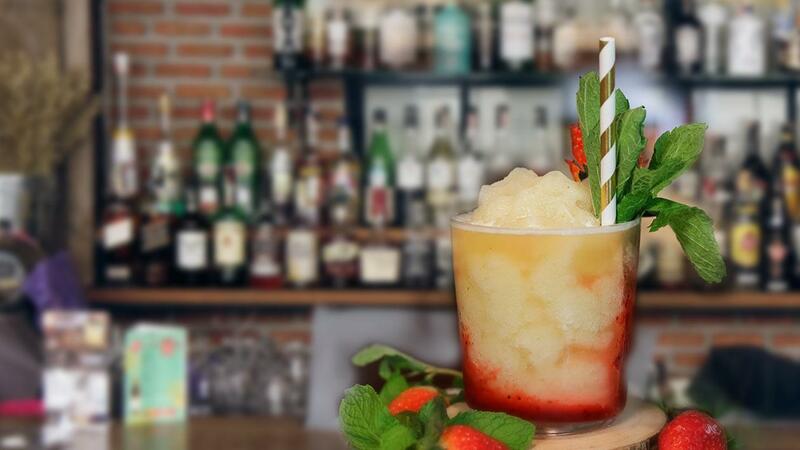 Garnish with mint and cut strawberries.